The News article is about victims being denied government aid after acid attacks. In Cambodia and other Asian countries acid attacks has alwasy been a pretty normal thing. usually it is a punishment for having an affair with a married man. The women who’s actually married to the man can just hire some men to attack this other woman and the chances are that she won’t be held accountable for it. The victim of the attack doesn’t even receive government aid for their injuries and won’t get treated unless they show the hospital that they have enough money, while the offender just gets to go free. Since legislation was introduced in 2012 the number of reported attacks have fallen, there are still a lot of unreported attacks. This show’s that Cambodia still has a long way to go before women get’s treated like equal human beings. 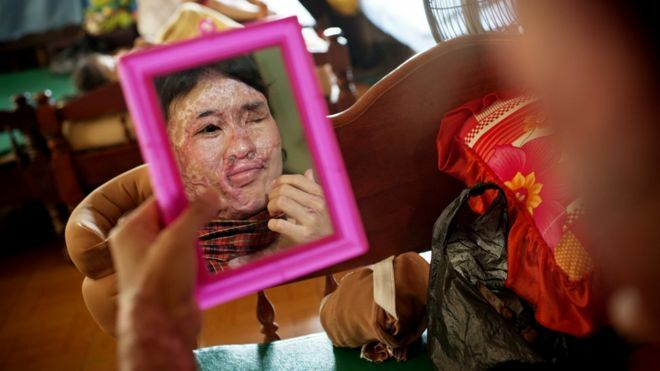 Acid attack: Cambodia victims denied government aid. Thanks for your information through your news resource. Did you learn anything then about the country in addition to this that you can now infer?